The issue opens, not with Mera, but with Orm. Orm?!?! That's right, Ocean Master is in the house but Dan Abnett shows us that he is happy with his surface life since we last saw him. He does have a bit of a reaction when hearing about Mera, Arthur, and Atlantis on the television, but that's for later. Right now, we actually go back six hours to see the star of the book, Mera. Through a third party narration, we see Mera fighting the Eel, a villain who shares her aquakinesis. We get mention of her recent issues in the Aquaman book and see that she is still not fully healed as she fights the baddie. The flashbacks continue (flashback in a flashback!) 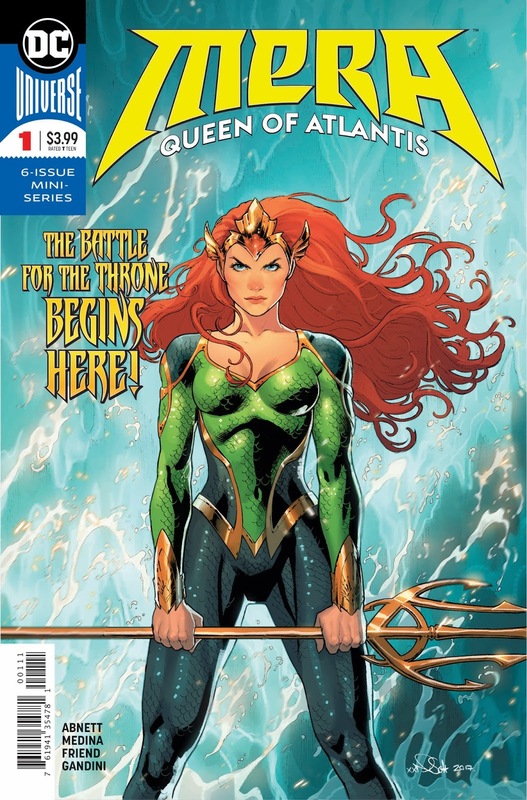 as we get a quick history of her and Arthur and even Mera's childhood. 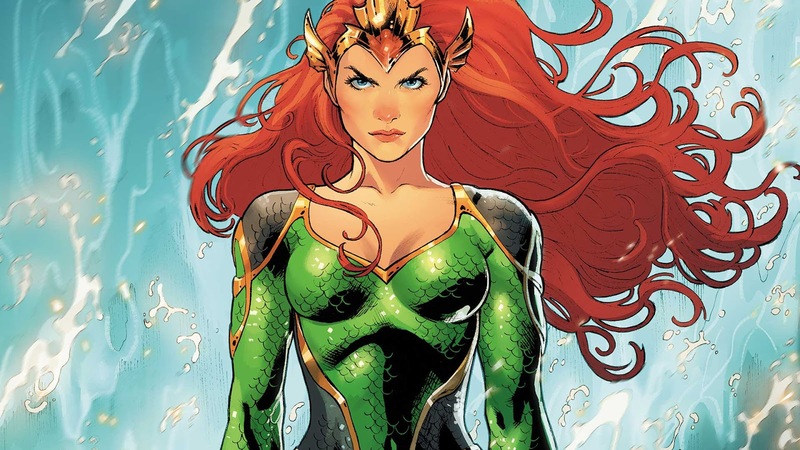 This all leads to Mera taking care of the Eel, calling in the Justice League and explaining that she is the Queen in exile. 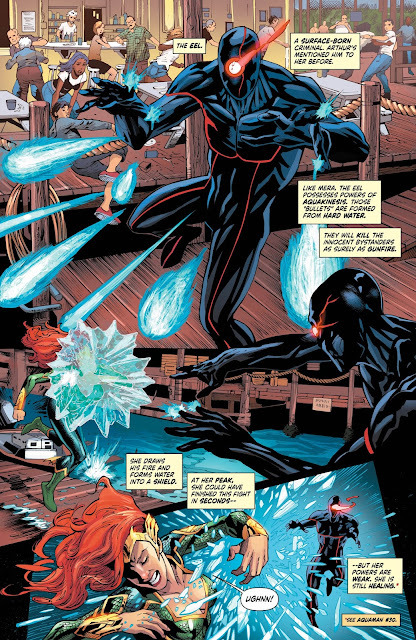 It seems that Rath paid the Eel to take out Mera, but she doesn't really want the Justice League to get involved. It continues with more catchup of why Mera is on the surface and the direction of this book...Mera needs to keep the peace between Atlantis and the Surface. After seemingly forgetting about Spindrift Station, Mera talks to the State Department of the United States for a second and then we are off to end the book by seeing that Orm may not be so happy with his new life after all. If you haven't been reading Aquaman up to this point, you may enjoy this catchup issue a little more than I did. Besides Orm showing up, there is nothing new here at all. Besides that, the narration made the action feel distant and unattached and I found myself pretty bored throughout. I hope that changes because I liked the art a whole lot and Orm being back is super cool. As a single issue, however, this was a bit of a disappointment. I couldn't help shake the feeling that this was some leftover story bits from when the Aquaman book went monthly. 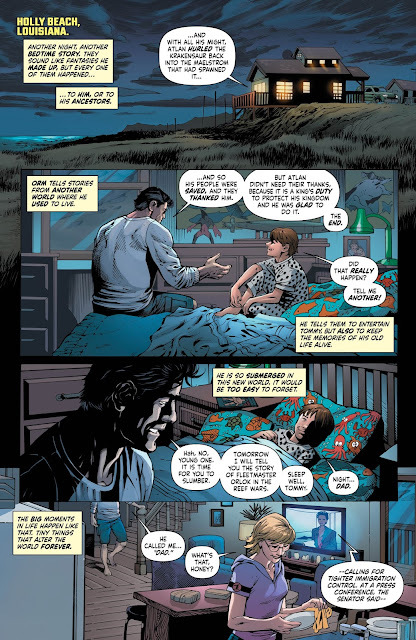 Besides a big return of a fan favorite character, there is nothing new here for Aquaman fans and the narration makes it all feel very distant to the reader. I did like the art and hope for something more exciting down the line, but this first issue was not what I was hoping for. I love how it pretty much takes place right after the last issue of Aquaman.